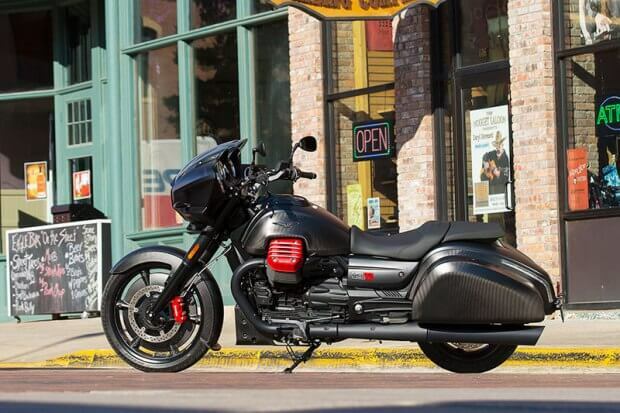 Moto Guzzi, for the first time, was present at the 76th Sturgis Motorcycle Rally, debuting the MGX-21. This is despite the Italian brand being in existence for 95 years and having a rich racing heritage. Their latest creation, the MGX-21, christened Flying Fortress, is the masterpiece of Miguel Galluzzi. 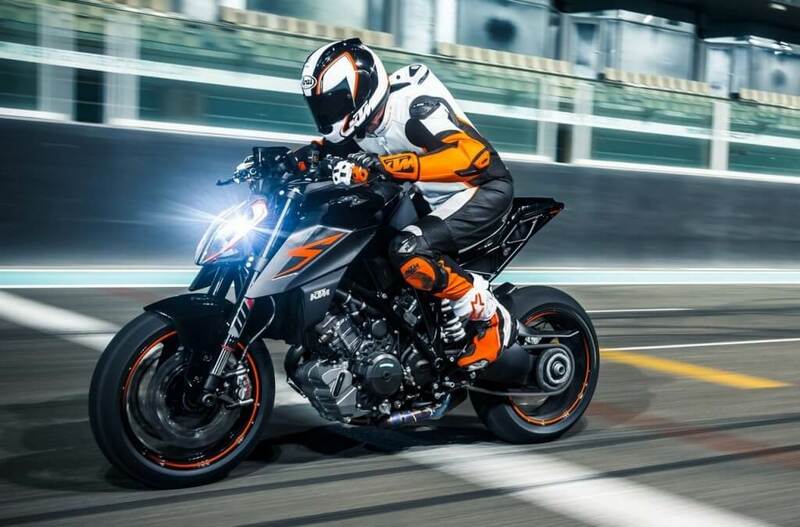 Miguel is a 59-year-old Argentinian who is also credited with the design of the Moto Guzzi V7 Racer, Aprilia Dorsoduro, and the Ducati Monster. He is currently based in California, where he heads the Piaggio Advanced Design Center (PADC). The name was arrived at by Galuzzia and Piaggio. The two worked together to create a simple name that would also be appealing. 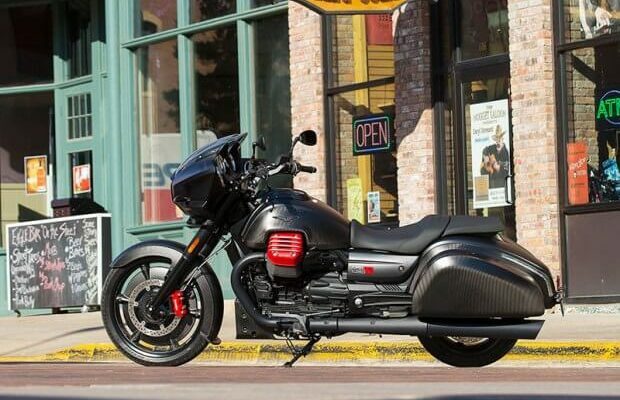 The MG refers to Moto Guzzi, with the X representing something that stands out from typical baggers. The bike got the ‘Flying Fortress’ name from its design, as it is sculpted to look like the B17 Flying Fortress by Boeing. The California 1400 is the basis for the MGX-21. The engine is capable of delivering 97 hp at 6500 rpm, with the torque figure being 89 ft/lbs produced at 3000 rpm. The two bikes share the same frame, but the MGX-21 comes with upgraded suspension for better handling. The bike also features a 45mm fork that provides both superior and comfortable handling. The weight (wet) of the MGX-21 is 751 lbs. Even though the bike looks and feels top heavy, the balance improves once the bike hits higher speeds. The seat saddle sits at a height of slightly over 29 inches. The ground clearance, considering the bike is a bagger, is adequate. The bike can be ridden comfortably without scraping the bottom. The MGX-21 features high-performance Brembo brakes. The system features dual 320mm discs at the front, working together with Brembo radial calipers. At the back, the system comprises of a 282mm disc working with four horizontally opposed pistons. 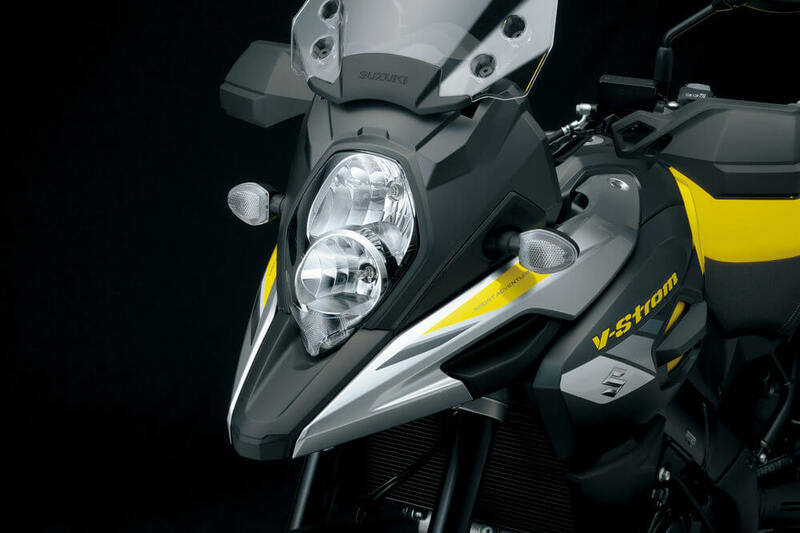 The new bike features technology such as Ride-by-Wire which comes with three driving modes namely Pioggia, Veloce and Turismo. Veloce works best with quick throttle response. Other driving technologies featured include ABS and traction control. The entertainment system includes an AM/FM radio, Bluetooth connectivity and a decent sound system. An upgrade to the speakers could however improve the experience. Riders are sure to find a comfortable riding position. The roomy seat and foot pegs are both positioned to deliver the utmost comfort. At low rpm, there is some vibration felt by the rider. However, during cruising, the ride is quite smooth. When riding at speed over bumps, a slight mechanical bump can be left in the left foot peg. The bags are capable of holding 29 liters on each side. They employ a three-hinge closing system which becomes tricky to operate once the bags are crammed full of stuff. The MGX-21 does come with cruise control, but the toggle for increasing and decreasing speed could do with some refinement. Changing speeds in a hurry will result in an upset of the chassis, making the bike jumpy. 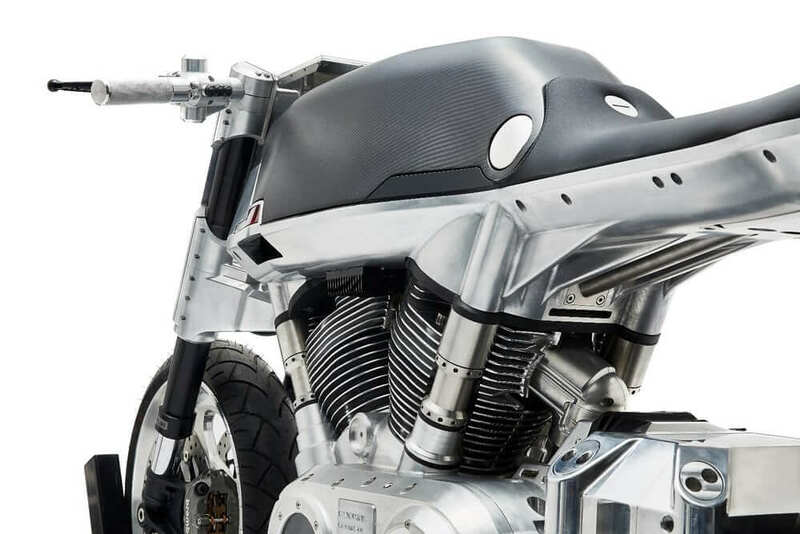 The bold and unique design is one that many enthusiasts find appealing, with many people complimenting it at the Sturgis Motorcycle Rally. The MSRP for the bike is $21,990, which is lower than expected.